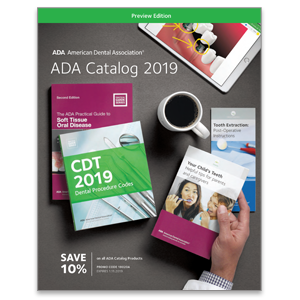 Get the 2019 ADA Catalog delivered to your door! We’ll send you the print edition of our complete product catalog, featuring the best in dental practice management, coding, patient education and regulatory compliance products. Or if you’d like to get browsing right away view the digital copy .